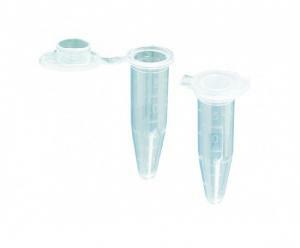 Requiring less than six inches of bench space, the Spectrafuge™ Mini is supplied with rotors and adapters to accommodate 1.5 ml, 0.5 ml and 0.4 ml tubes as well as 0.2 ml strips and individual tubes. The standard and strip tube rotors are easily interchanged. 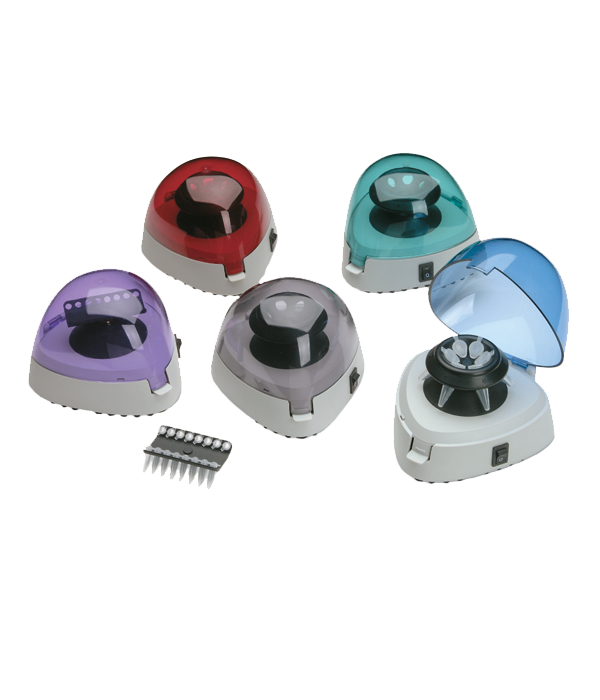 The easy-open, translucent lid utilizes a stainless steel hinge pin for durability. 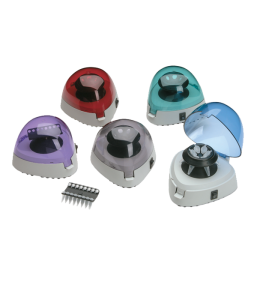 Five different lid colors are available including gray, blue, teal, purple and red. 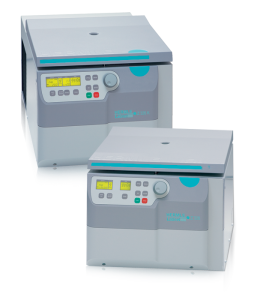 An on/off switch is located on the side of the Spectrafuge™ Mini for starting and stopping operation. 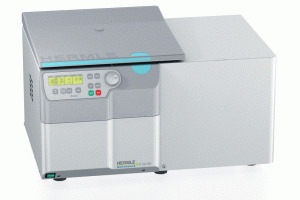 Alternatively, with the switch in the on position, the centrifuge can be started and stopped by closing and opening the lid. 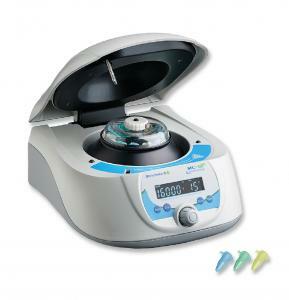 This personal sized centrifuge is ideal for microfiltration and quick spin downs from the walls and caps of microcentrifuge tubes.